Buy The Julia Set a Coffee. ko-fi.com/thejuliaset - Ko-fi ❤️ Where creators get paid by fans, with a 'Buy Me a Coffee' button. Three piece alternative / indie rock band out of West London, UK. Playing original rock with a hint of retro. Hello and welcome to The Julia Sets Ko-fi page. If you like our music, or simply want to add to our coffee fund, then we thank you. If not, then we thank you, anyway! Head over to our Bandcamp page to download our music, absolutely free, at thejuliasetrocks.bandcamp.com All donations go to music creation and distribution, gig expenses (travel, accommodation, advertising) and, of course, coffee... other beverages are available! Thanks for dropping by, and don't forget you can support other creators on Ko-fi. Secured Payments. Support goes to The Julia Set's account. 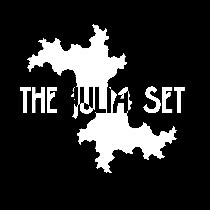 Upgrade The Julia Set to a yearly Gold Membership with a one-time payment.